All Carson homes currently listed for sale in Carson as of 04/23/2019 are shown below. You can change the search criteria at any time by pressing the 'Change Search' button below. "1 hour from Portland Airport, 8 Miles east of the Bridge of the Gods. Beautiful custom home on golf course. Vaulted open living area with Master on the main floor. Kitchen island with granite, stainless appliances, and open concept. Hardwood floors with large deck with view of the fairway at Elk Ridge Golf Course. Office main level (5th bedroom) with formal dining room. Upstairs additional bedrooms with bonus/media room." "Over 3200 sq ft of updated living on almost an acre of land in Carson. Custom kitchen w 2 ranges and ovens, granite, tile floor and SS appliances. 5+ bedrooms/4 bathrooms, and bonus rooms. 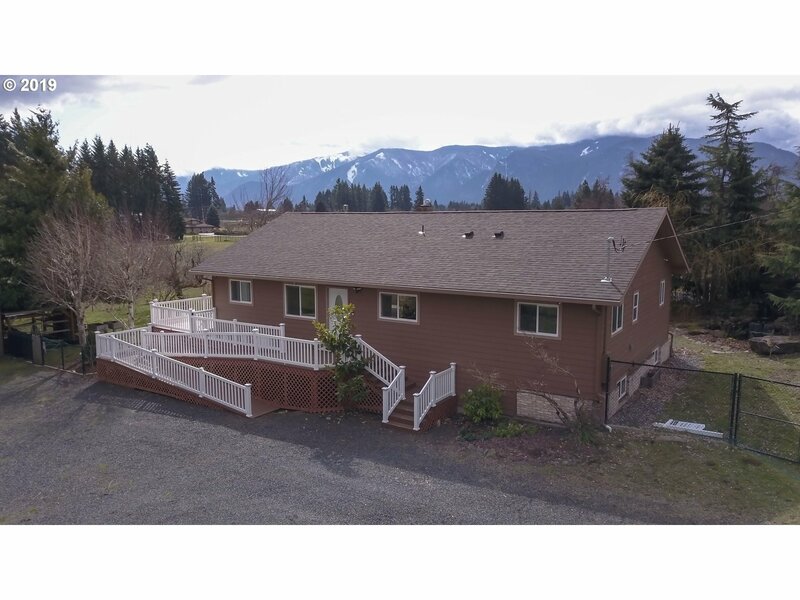 Amazing wrap around deck, all ADA accessible, landscaped yard with waterfall, territorial views and new fencing. Security system in place, chicken coop and three car garage as well. Large home with endless possibilities." "This beautiful home on 5 acres is located just outside of Carson & features large bright rooms, fresh paint & carpet throughout. Remodeled in 2005 including new wiring with 400 amp service, plumbing & HVAC. Garage has additional washer, drier & sink hookups. Well pump replaced in 2014. 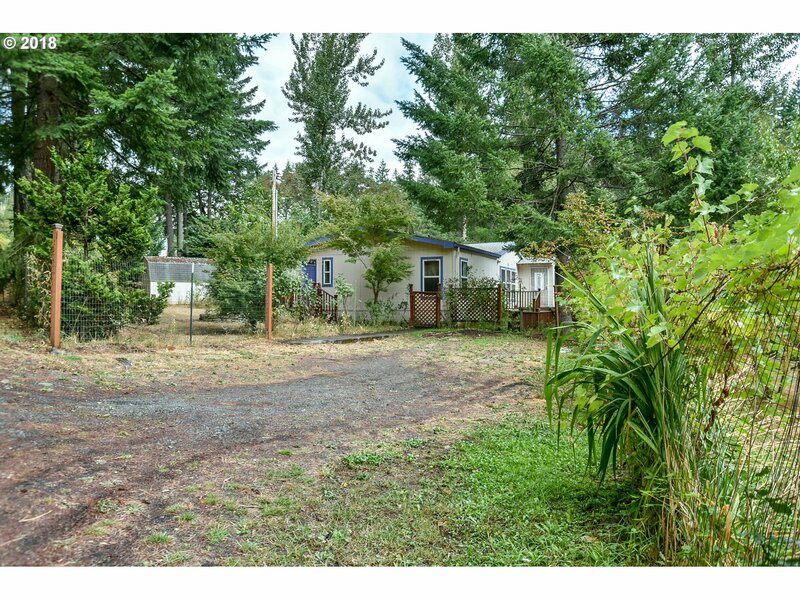 Lot is subdividable with market-ready timber while still having enough room to build that dream shop. High-speed internet & cell service are available." "Modern Farmhouse style, this home in a quiet neighborhood near Carson Elementary, grocery, post office and Carson Hot Springs golf course and spa. Perfect place to raise your family! The finished basement is suited for use as an in-law apartment or home business, with separate entry! Views of the Columbia River can be seen from the main floor, master suite and 4th bedroom upstairs. Property includes RV/boat parking!" "If a quiet lifestyle is what you have been looking for, look no further! The moment you pull into your gated driveway, you are greeted by mature landscaping and a spacious one level home situated on 2 usable acres. With a 2 car garage and large RV shed, there is plenty of room for tools and toys! This is truly county living at it's best." 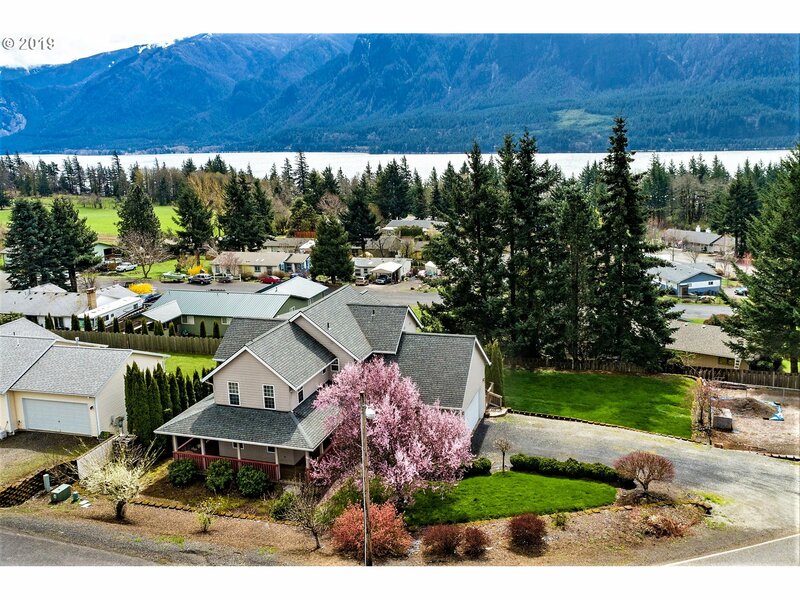 "This spacious home is perfectly situated on a flat and usable 1.6 acre parcel in the heart of the Columbia River Gorge. Offering territorial views, parks, brewery, hiking, water recreation, and conveniently located for your every day needs. This home offers a private master suite, a large office, a spacious open concept for entertaining, a 32x48 shop/garage and lean to and so much space!! Must see to appreciate!" "Wonderful Creekside Home! Enjoy the tranquility of this 3 bedroom home overlooking Carson Creek! Featuring an oversized lot, open floor plan, laminate wood floors, and larger deck. 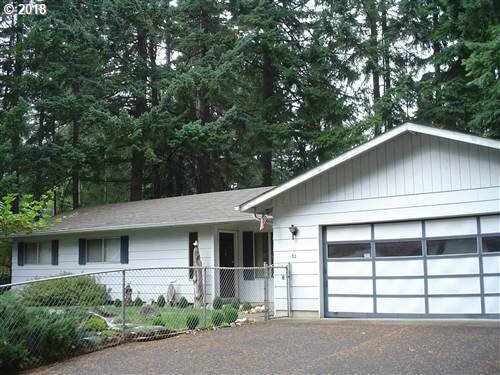 This home is clean and ready for a owner to enjoy the beauty of the gorge area." 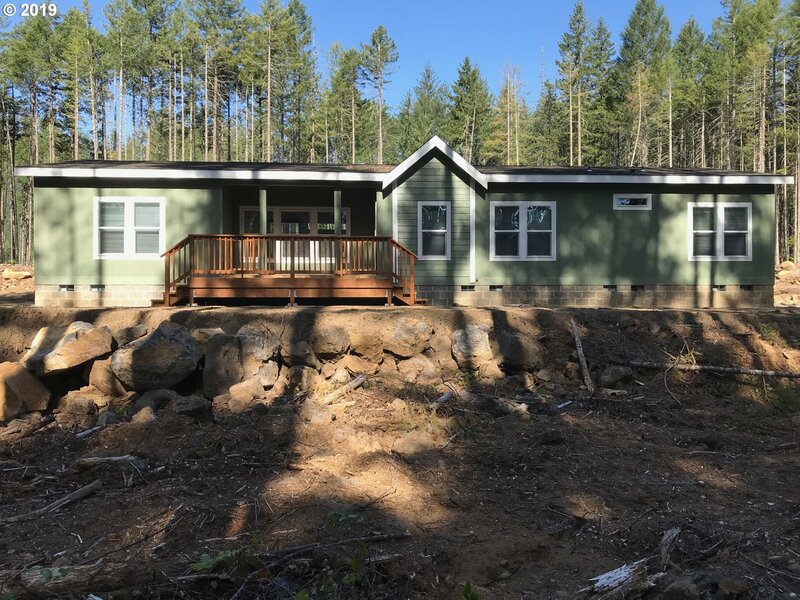 "New construction manufactured home in Carson. Very quiet and secluded, short distance to Carson, Gifford Pinchot Federal Forest and 1 hour to PDX. Elk, deer, turkeys living in and around the property. Come view this home ASAP as it will move very quickly!" "Dream on a blank piece of paper! Gorgeous lot with a home that has so much potential! Bring your tool belt! **BUYER TO VERIFY ALL PROPERTY INFORMATION**"
"Classic, well built, Ranch style home, on a quiet street. Plenty of privacy in the back yard, with wooded area behind. Yard is fenced with mature landscaping. Home is in need of a little TLC, and ready for you to bring your ideas to update and make it your own! Being sold As-is." "Great location - Just 6.5 miles north of the stoplight in Carson. The cabin sits on 150' by 80' lot in a serene and peaceful setting surrounded by lots of trees. metal roof on cabin and garage, 26+gallon per minute well and 1000 gallon septic tank plumbed to the garage, cabin and yard for an extra travel trailer or motorhome."